Daisy Bicking, noted farrier, educator and owner of Daisy Haven Farm in Pennsylvania talks about a horse that is now rideable again after combining her work with SURE FOOT both while being trimmed and by the owner who continues to use the SURE FOOT pads with her horse. Daisy has been testing a farrier pad designed to make horses more comfortable while so that the horses are more willing to let the farrier do the job and make the farrier’s job easier because the horse is more comfortable. Listen to this 2 minute clip of how excited Daisy is about combining SURE FOOT with her work. 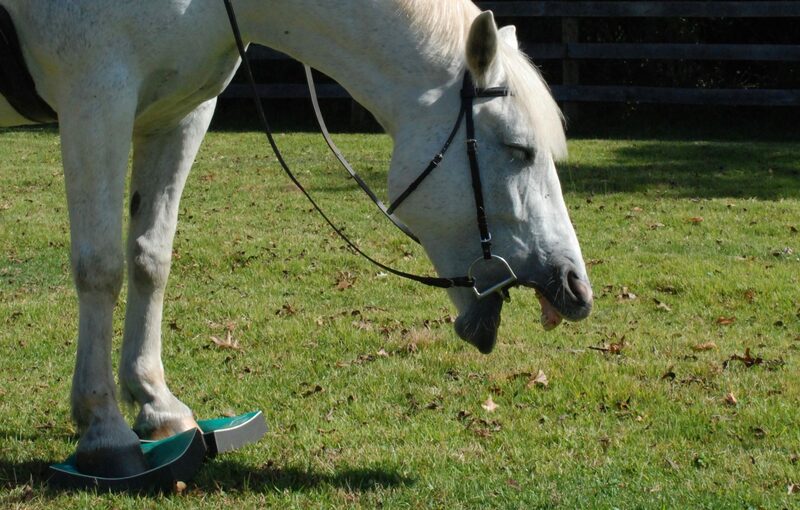 After watching this video do you think SURE FOOT could be useful for your farrier? Leave a comment below. Thanks!